The Conformal Mounting System is a revolutionary way to attach our Featherweight air data boom to nearly any airframe. 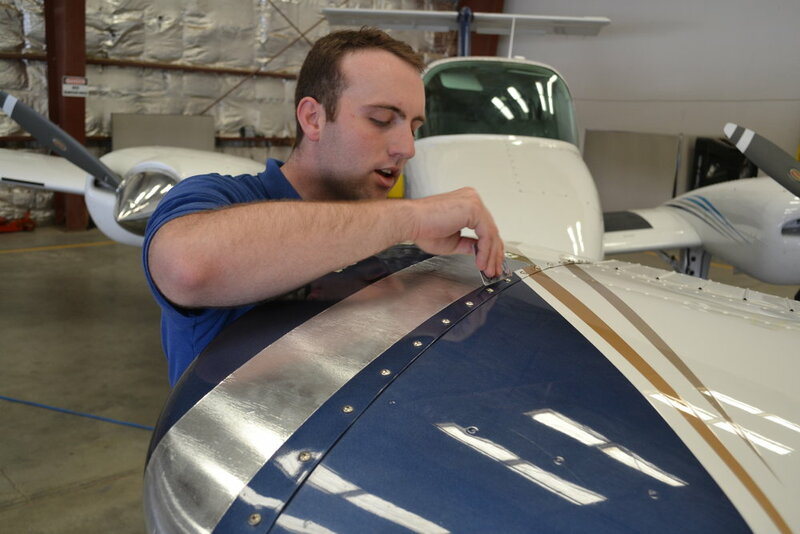 The conformal mounts conform to match the shape of the airfoil, and the included aluminum tape and double-sided adhesive provide a quick, reliable attachment. The Featherweight V3.0 is sold separately here. We created the Conformal Mounting System to enable the Featherweight boom to be quickly mounted on nearly any aircraft type. The mounts are rapid-prototyped from robust ABS plastic and incorporate flexible mounting surfaces that conform to the airfoil shape of most aircraft. Using a proven, flight-tested application of aluminum tape and double-sided adhesive, the Featherweight boom can be attached in less than half an hour. It can be removed just as quickly without leaving a trace, bringing a whole new level of flexibility to flight test data acquisition. The mounts are attached using 30 psi double-sided adhesive, and additional anti-peel aluminum tape is placed over the mounting tabs. The best mounting holes are selected and the probe is attached. To make sure that each attachment is robust, the boom is load tested using a simple fish scale prior to each flight. For detailed installation instructions, download the installation manual here. We make sure that our products are safe to use in the way that we advocate. We've ground tested the Conformal Mounting System to a 3x factor of safety, and completed flight test on over a dozen different aircraft with industry-accepted FTTs to ensure a reliable installation. And when we go fly with one of our air data booms mounted on the wingtip using the Conformal Mounting System, we're confident it's going to be there when we land - no matter what the mission. Note: we don't certify an operating envelope - our testing gives us peace of mind that our products do what we say. Choosing a safe operating envelope and testing to ensure safety of each install is up to the user.